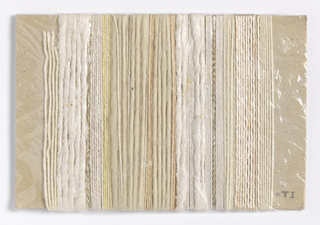 cotton, wool, linen, viscose, metal, lurex, plastic. 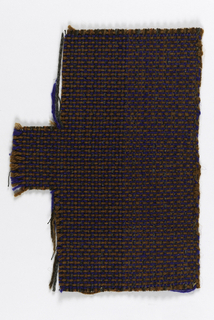 (a) cotton warp, wool weft; (b) cotton warp, viscose rayon weft. 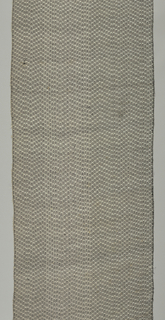 Warp x Weft: 256.5 x 64.8 cm (8 ft. 5 in. x 25 1/2 in.). 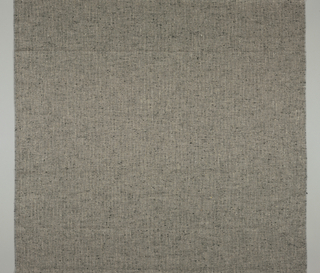 Warp x Weft: 186 x 112 cm (6 ft. 1 1/4 in. 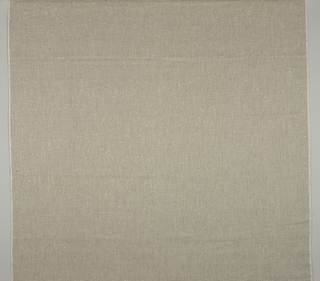 x 44 1/8 in.). 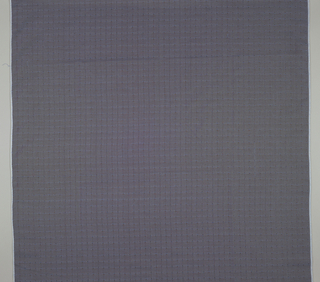 Warp x Weft: 114.3 x 139.7 cm (45 x 55 in.). 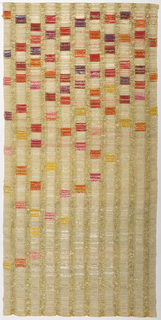 Warp x Weft: 91.4 x 64.8 cm (36 in. x 25 1/2 in.). 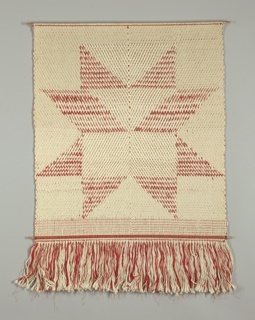 Warp x Weft: 86.4 x 49.5 cm (34 in. x 19 1/2 in.). 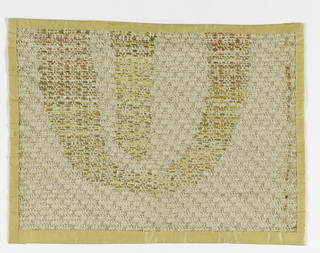 Warp x Weft: 91.4 x 45.7 cm (36 x 18 in.). 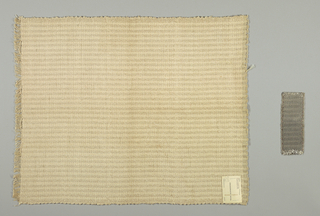 Warp x Weft: 62.2 x 55.9 cm (24 1/2 in. x 22 in.). 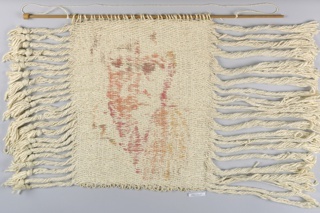 Warp x Weft: 30.5 x 40.6 cm (12 x 16 in.). 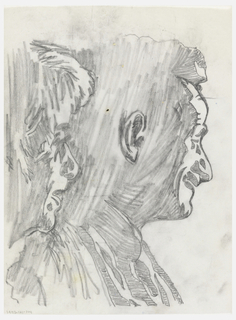 Mount: 27.9 x 12.1 cm (11 in. x 4 3/4 in.). 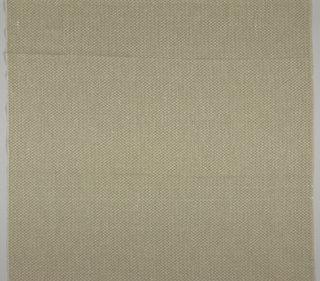 Warp x Weft: 369 x 115 cm (12 ft. 1 1/4 in. x 45 1/4 in.). 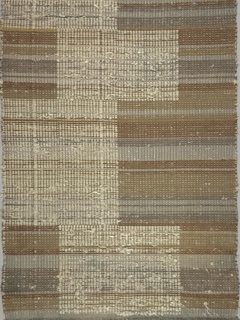 Warp x Weft: 358.1 x 114.3 cm (11 ft. 9 in. x 45 in.). 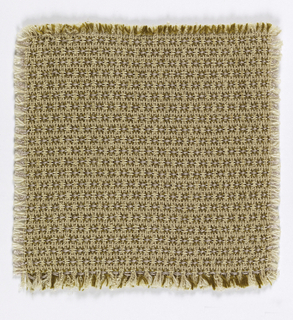 Warp x Weft: 256.5 x 38.1 cm (8 ft. 5 in. x 15 in.). 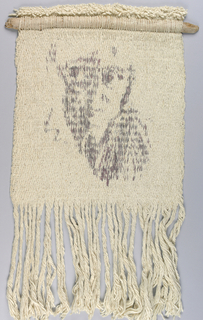 Warp x Weft: 76.5 x 61 cm (30 1/8 x 24 in.). 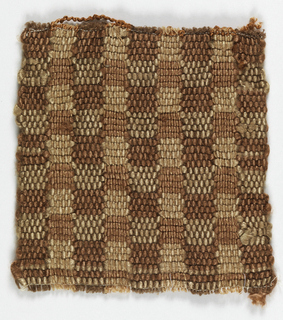 Warp x Weft: 29.2 x 20.3 cm (11 1/2 in. x 8 in.). 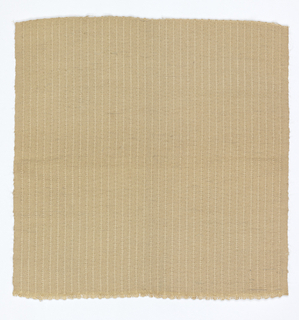 cotton warp and weft, white warps viscose rayon. H x W: 20.5 x 20.5 cm (8 1/16 x 8 1/16 in.). 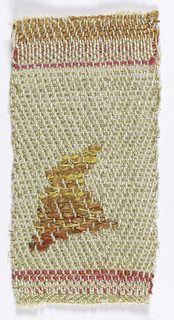 Warp x Weft: 36.8 x 14 cm (14 1/2 x 5 1/2 in.). 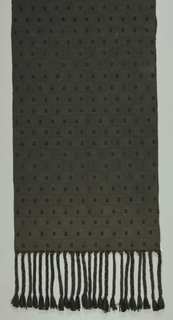 Warp x Weft: 226 x 64 cm (7 ft. 5 in. 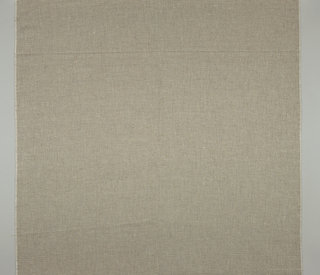 x 25 3/16 in.). 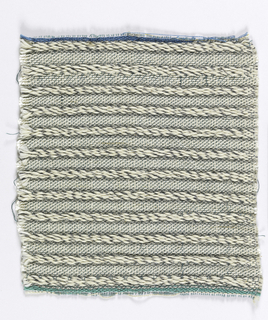 linen warp, viscose rayon and cotton wefts. silk and lurex warps, viscose rayon wefts. 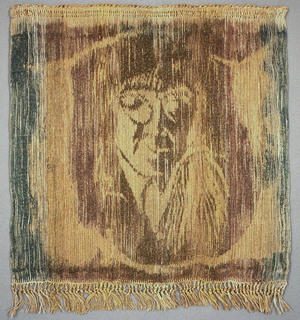 Warp x Weft: 41.9 x 19 cm (16 1/2 x 7 1/2 in.). 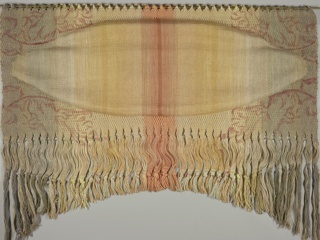 Warp x Weft: 79 x 13 cm (31 1/8 x 5 1/8 in.). 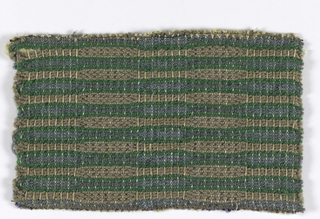 Warp x Weft: 83.8 x 22.9 cm (33 x 9 in. ).